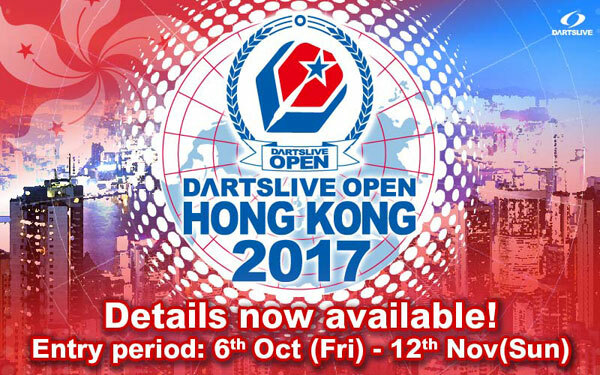 Home > 2017 > Event > DARTSLIVE OPEN > Entry For DARTSLIVE OPEN 2017 HONG KONG Is Now Open!! Entry For DARTSLIVE OPEN 2017 HONG KONG Is Now Open!! DARTSLIVE OPEN 2017 HONG KONG that will be held from December 1st to December 3rd, entry starts from today! Click here for DARTSLIVE OPEN 2017 HONG KONG official website.